Students will be able to make inferences from the provided excerpts in order to answer questions over the topic. 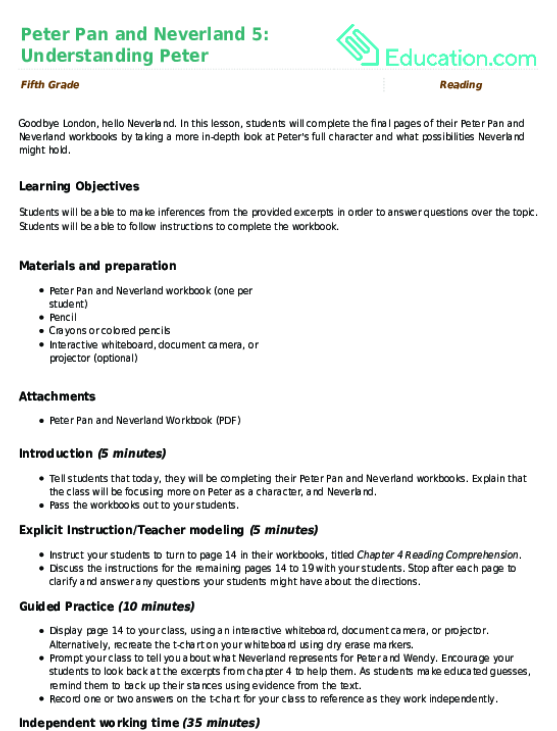 Students will be able to follow instructions to complete the workbook. 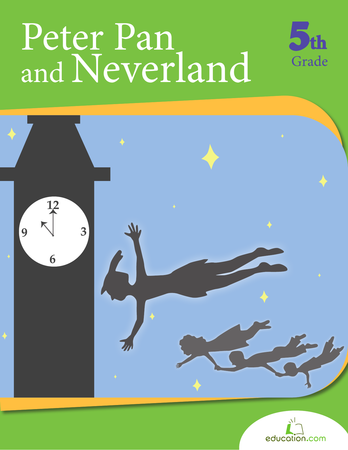 Tell students that today, they will be completing their Peter Pan and Neverland workbooks. 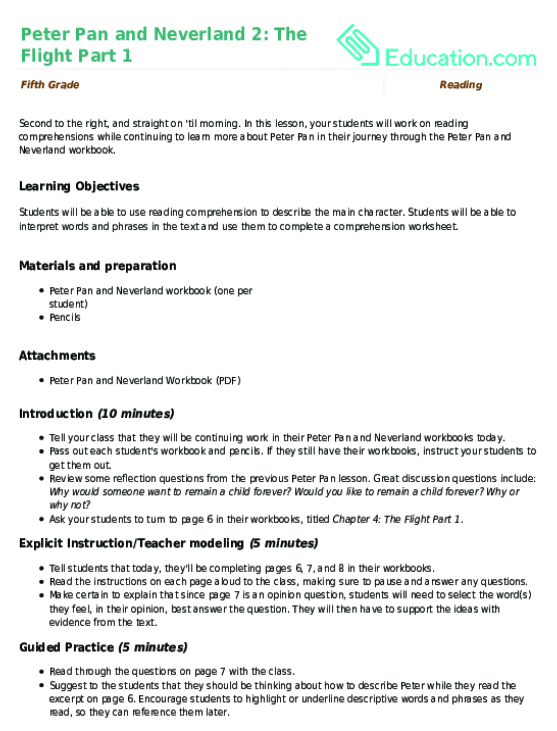 Explain that the class will be focusing more on Peter as a character, and Neverland. Pass the workbooks out to your students. Instruct your students to turn to page 14 in their workbooks, titled Chapter 4 Reading Comprehension. 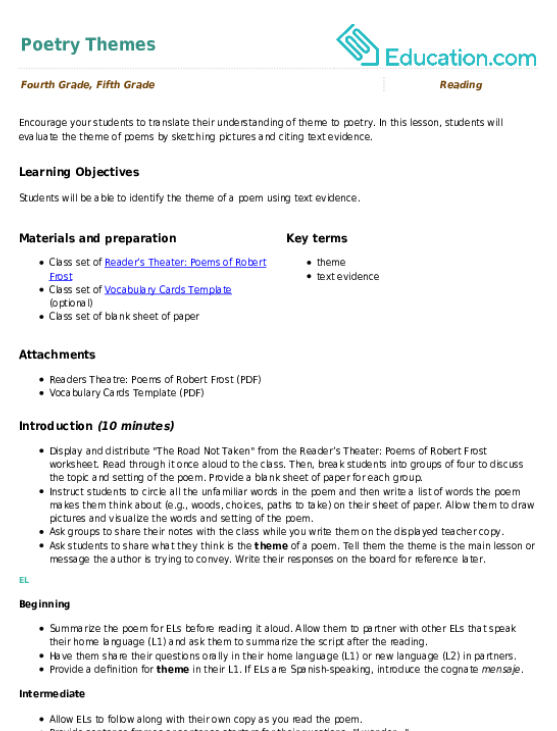 Discuss the instructions for the remaining pages 14 to 19 with your students. Stop after each page to clarify and answer any questions your students might have about the directions. 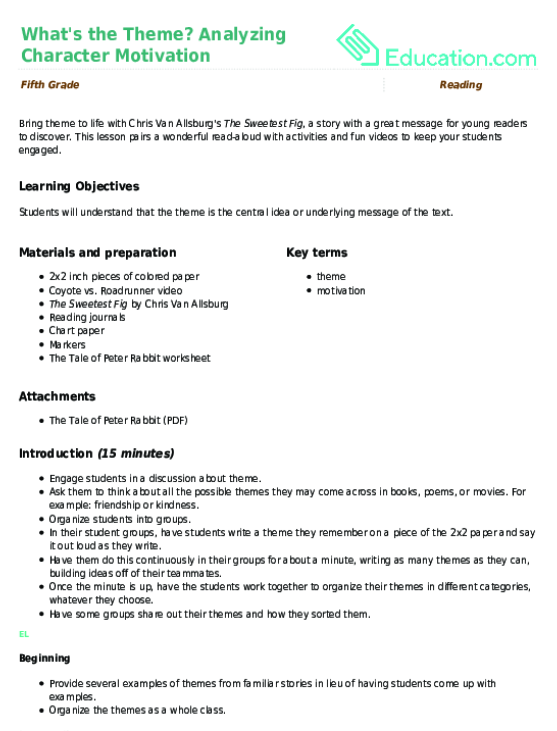 Display page 14 to your class, using an interactive whiteboard, document camera, or projector. Alternatively, recreate the t-chart on your whiteboard using dry erase markers. 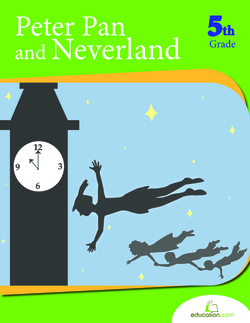 Prompt your class to tell you about what Neverland represents for Peter and Wendy. Encourage your students to look back at the excerpts from chapter 4 to help them. As students make educated guesses, remind them to back up their stances using evidence from the text. Record one or two answers on the t-chart for your class to reference as they work independently. Instruct your students to complete pages 14 to 19. As your class works, circle the room to answer questions, clarify instructions, and assist as necessary. Enrichment: Challenge your advanced students to write a story that explains their drawings about the mermaid scales on page 18. How did Peter end up with all of those scales? Encourage students to use their imaginations. Support: Gather students who need additional support into a small group. For each of the pages 14 to 19, discuss the assignment, and work together to find evidence in the excerpts from chapter 4 to strengthen your argument. Model how to do this for each page, and then assist students as they work. Collect the workbooks as students finish. 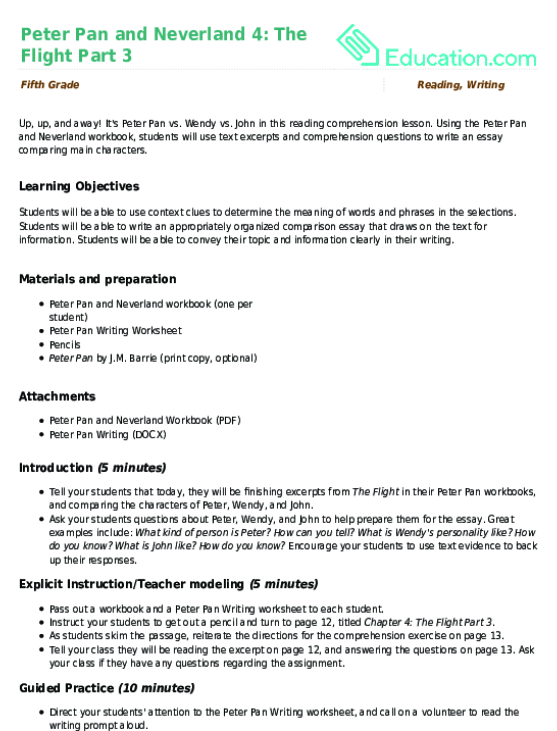 Assess the work done on pages 14 to 19 to gauge each student's comprehension of the passages, and their success as using text evidence to strengthen the arguments they make about Peter Pan. Talk to your students about the characters of Peter, Wendy, Michael, and John. Ask them reflection questions such as: What have you learned about people in general from reading this? Would you want to be flying with Peter? What about with Michael and John? With Wendy? Finally, ask students an end of class reflection question to ponder throughout the rest of the day. This might be something like: Peter is very easily distracted and doesn't know how to handle being around others at first. Do you think this is a result of him living on Neverland for so long, or is it more to blame on his being without a parent on the island? Why? This lesson pairs a wonderful read-aloud with activities and fun videos to keep your students engaged.